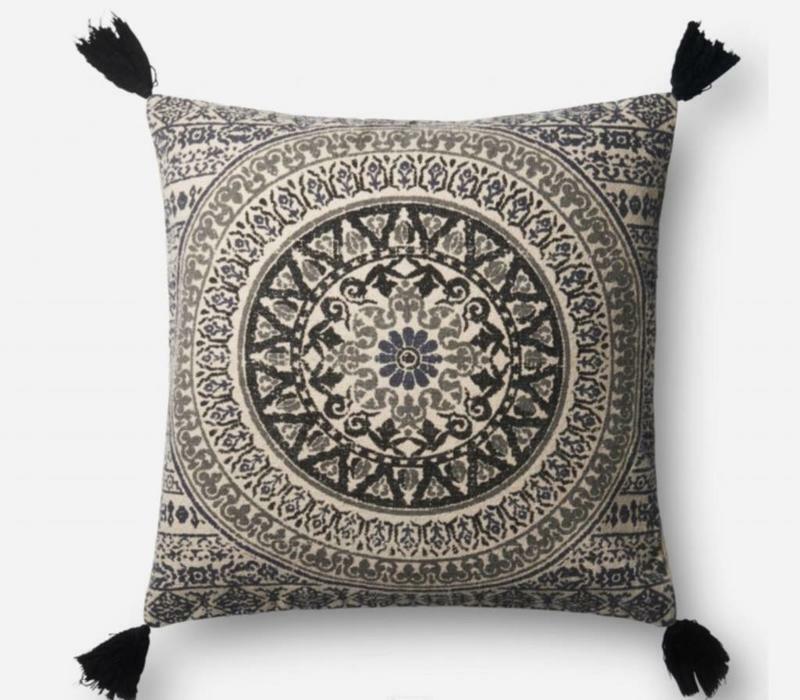 The Jaipur Accent Pillow is the perfect way to bring a touch of India to your home. Materials: Cotton/Viscose/Polyester Blend. Down Feather Insert.